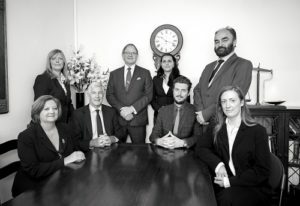 About Fairhurst Menuhin & Co.
FM&C Solicitors aims to provide tailored legal services to our community. We always put our clients first. 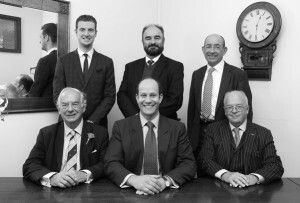 Fairhurst Menuhin Solicitors are a fast expanding law firm with offices in Essex and Suffolk. We provide the personalised attention of a traditional high street firm while utilising innovative systems and technologies to increase the quality of our service. We provide legal services to our local communities as well as to national and international clients. We are customer-focus driven and are able to offer clients sound legal advice across a range of different practice areas. Our clients recommend us for our friendly, efficient and jargon-free approach. We work with our clients one-to-one and make it our business to fully understand their individual needs and circumstances. This enables us to guide you through each step of your mater, taking your unique circumstances into account. While keeping a close eye on costs, we are aware of the potential pitfalls of a careless or shortcut approach to legal services. We consider prevention better than a costly cure down the line. 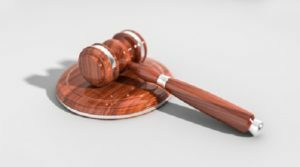 Our team brings together the strengths of both individuals with long-standing experience practising the law in this region, as well as individuals who have broad international expertise in business and the law. Our technical skills and local knowledge enable us to provide a professional service which combines an intimate knowledge of the local community and a personalised approach to providing legal services. Most importantly, we are committed to being citizens of our respective towns and hope to build sound and long-lasting relationships with the towns in which we live. FM&C Saffron Walden Solicitors and FM&C Haverhill Solicitors are trading names of Fairhurst Menuhin & Co ltd which is a Limited Liability company registered in England and Wales with number 7872324 and with VAT Number 163789564. Fairhurst Menuhin & Co ltd is regulated and authorised by the Solicitors Regulation Authority, firm number 598877. Where we refer to a ‘partner’ we refer to a Member of Fairhurst Menuhin & Co ltd. A list of all the Members of Fairhurst Menuhin & Co ltd is available for inspection at the registered office at Thorn House, 11a Hill Street, Saffron Walden, CB10 1EH, Essex. We are not permitted to give advice on specific products or recommend to a client that he or she buy or sell specific rights and interests. Where such advice is needed you will need the advice of an Independent Financial Adviser (IFA) regulated by the Financial Conduct Authority. If you already have an IFA and you need financial advice, you should get in touch with them. If you do not have an IFA, we can put you in touch with someone who can advise you. Our Privacy Notice is available to view by following the link below.